Cancer pain is difficult to treat and a terrible malady for those suffering from cancer. Pain related to cancer is unique and may be related to the anatomic location of the tumor, the pathophysiology of the tumor, or the treatment of the cancer. The cause of the pain is multifactorial and may be somatic, visceral, neuropathic, or mixed in nature. 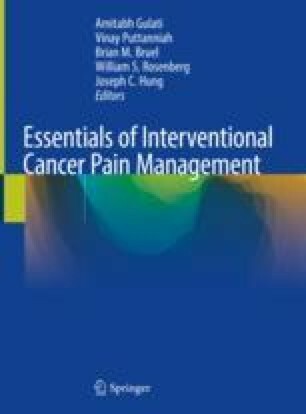 Given the complexity of cancer pain, it is critical to assess the pathophysiology of the cancer and its role in creating a pain syndrome. Adequate control of pain may improve the patient’s quality of life through improved mood, functional status, and rest. As new therapies evolve, the treatment of cancer-related pain will continue to evolve as well, with the potential to create a new paradigm of treatment for our patients.